On the T211 course. 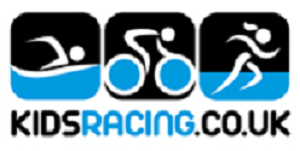 Under CTT rules and regulations. My thanks go to all of the club members who helped marshal the event, without which it could not go ahead, and to the sponsors Chapters Hotel and Restaurant for their generous support. Timekeepers Bill Millen and Ian Hutchinson, Steve Tilly for the results service and special thanks must go to the ladies who provided the cakes. Thanks to Pat, Elaine, Tracy, and Tatiana for the refreshments on the day. The breezy conditions didn’t stop the top two today! 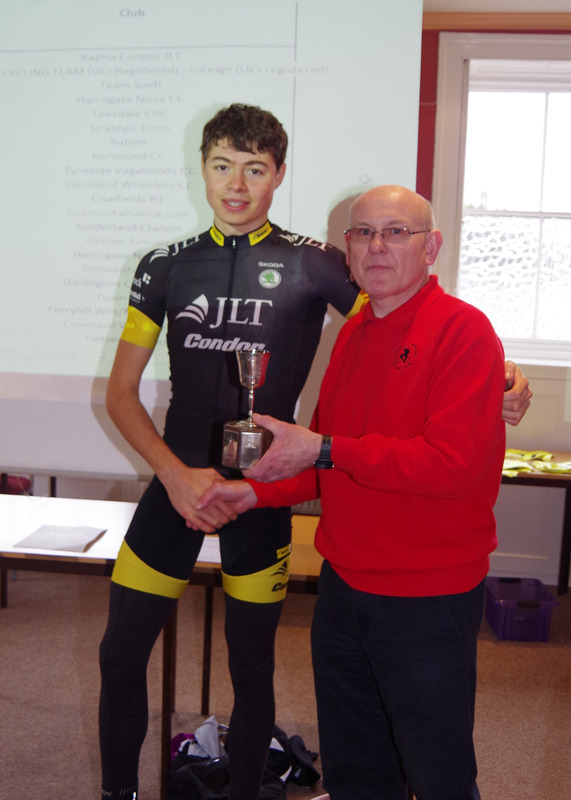 Congratulations to Harry Tanfield, taking the Andrew Hutton Memorial Trophy for the second year running as well as breaking Chris Newton’s race record of 42:51, with a winning time of 42:25. Second place went to Josh Teasdale in 42:57 who was just off Chris Newton’s time! Third place was taken by Blaine Metcalfe and Duncan Mullier. The ladies prize winner was Ingrid Shepherd. Junior competition winner Toby Tanfield. A full list of prize winners is included on the results sheets below. The refreshment collection raised £80:00 which will be sent to a local charity in due course. Photos from the event are posted on this website. Winner and new course record holder Harry Tanfield accepts his prize from event organiser & CWCC Chairman, Mike Cole. 35 0:51:02 Rick Mitford Cestria C.C. Posted on March 9, 2015, in Club Open Events, Results. Bookmark the permalink. Leave a comment.